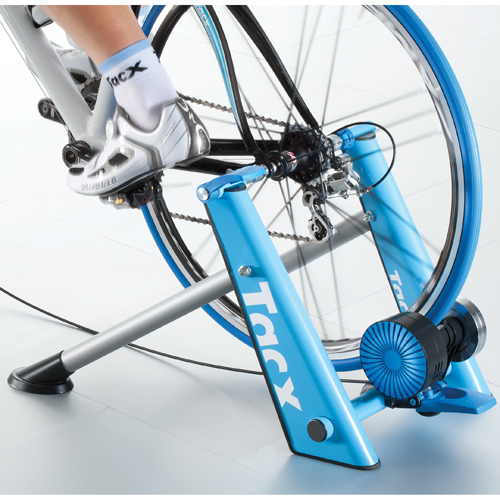 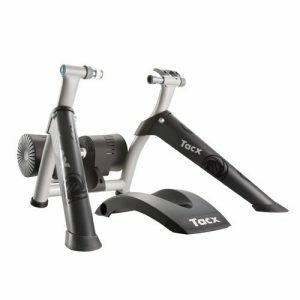 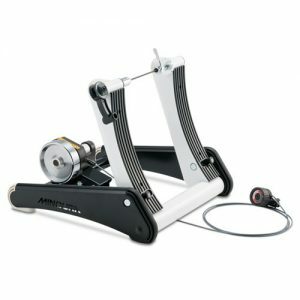 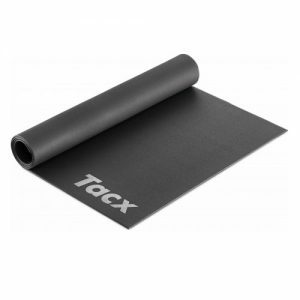 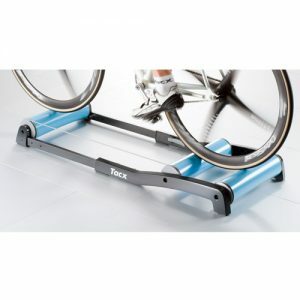 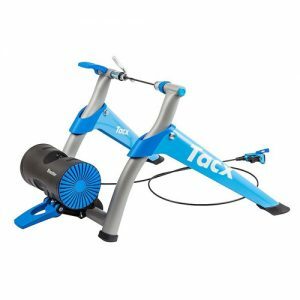 The Tacx Blue Matic Bike Trainer is the intermediate model of the Blue cycle-trainers. 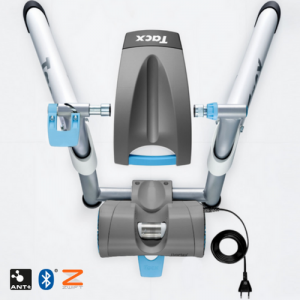 Its maximum resistance is 700 Watt. 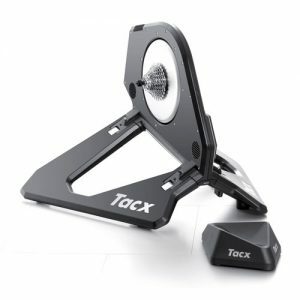 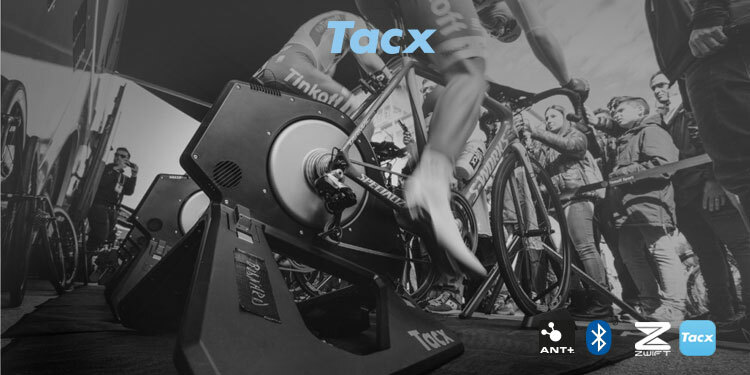 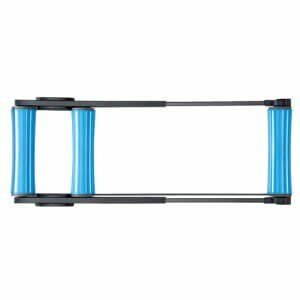 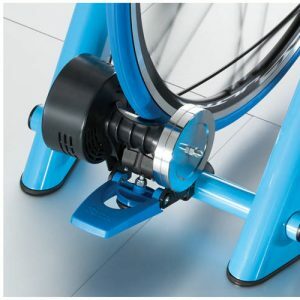 The Tacx Blue Matic has a magnetic brake with permanent-magnets. 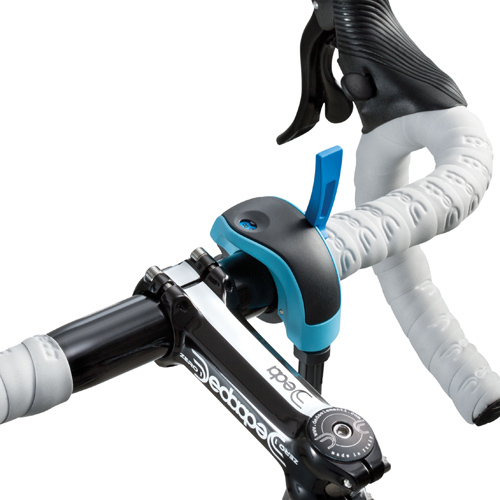 You set the resistance selecting one of the ten different positions via the handlebar resistance lever. 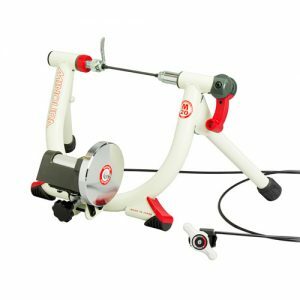 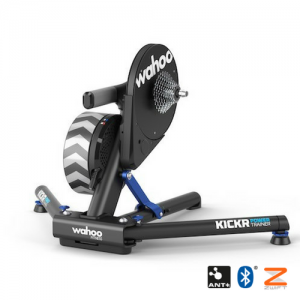 During your training session the resistance increases as you cycle faster or switch to a heavier setting. 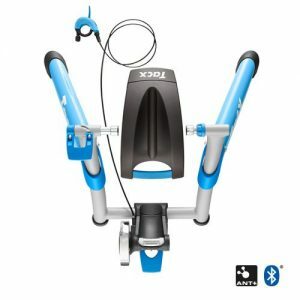 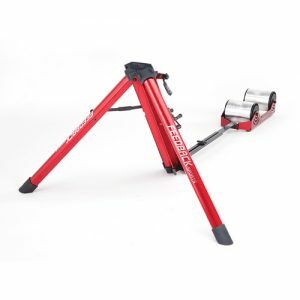 The robust frame stands firmly on the ground and it is very user friendly because the trainer can be assembled in no time at all. 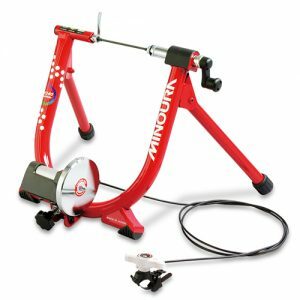 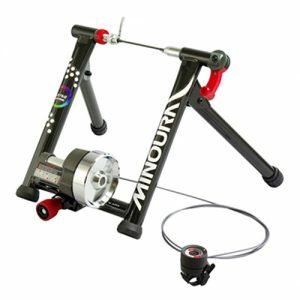 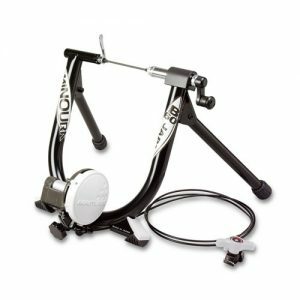 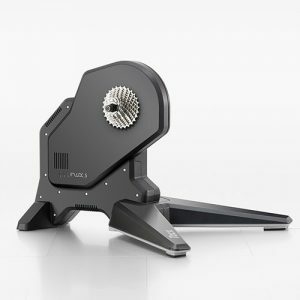 The magnetic brake has a simpler braking system and is therefore ideal for straightforward training sessions such as warming up before a race and endurance training. 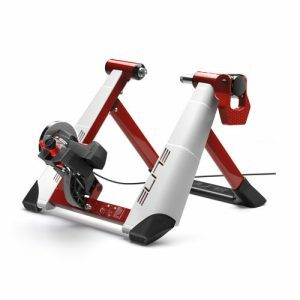 The road is simulated using different positions that you adjust yourself. 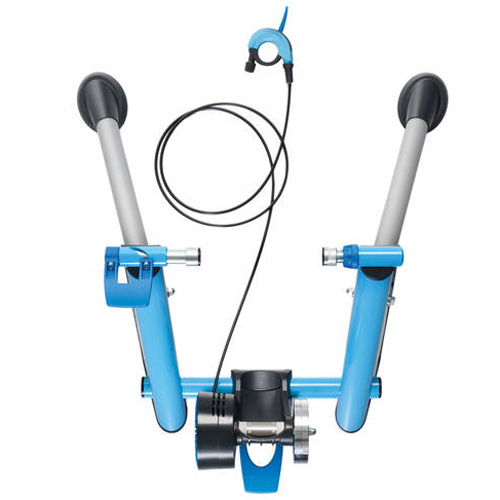 The Blue Matic’s magnetic brake consists of two discs with 8 permanent-magnets each. 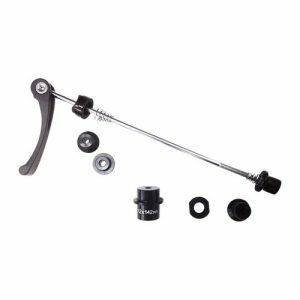 With the 10 position handlebar resistance lever you can change the position of the magnets in the brake unit in relation to each other. 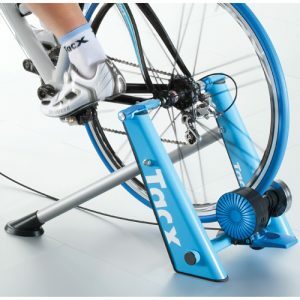 While training the resistance increases when you cycle faster and/or in a heavier mode. 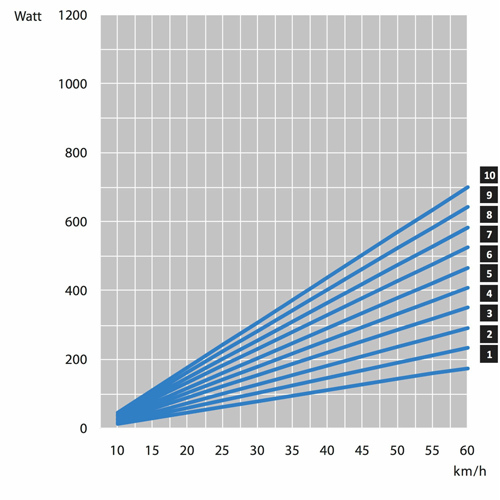 The maximum resistance is 700 Watt.